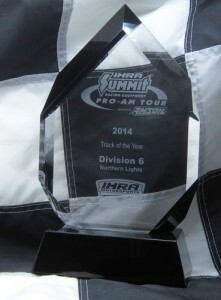 NLRW 2014 IHRA Track of the Year ! We are proud to show off our hardware that we worked so hard for last year. This is tribute to all our hardworking volunteers, because with out them the Northern Lights Raceway and Drag Racing in Fort St. John would not be possible. Congratulations to everyone who helped out. ← Season Opener this Saturday!